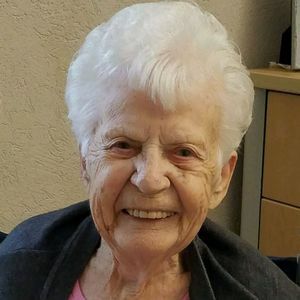 BRIGGS, MARIE L., 90, of Cape May Court House, NJ, passed away on Tuesday, January 15, 2019. A Mace Baby, she was born in North Wildwood to the late George and Ada Conley Dotts and lived in Anglesea for 55 years before moving to Rio Grande. She was a member of Notre Dame De La Mer Parish St. Ann Church. She loved caring for her family and the time she spent with them. Marie is survived by her daughter, Suzanne (John) Hoffman; her son, George (Melissa) Briggs; her sister, Mary Ellen (James) Mooney; her brother, Joseph Dotts; her grandsons, John C. (Jennifer) Hoffman, Jeffrey C. (Paulette) Hoffman, Patrick (Sara) Briggs, and Shane (Corimae Gibson) Briggs; her great grandchildren, Isaac, Noah, and Morgan Hoffman, Jeffrey and Dylan Hoffman, Madison and Jordan Briggs, and Carter Gibson Briggs; and her nieces and nephews. She was preceded in death by her husband, George; her daughter, Cherylyn; and her brother, George Dotts. Funeral service will be held on Monday, January 21, 2019 at 11:00 a.m. at the Radzieta Funeral Home, 9 Hand Avenue, Cape May Court House, NJ, where viewing will begin at 10:00 a.m. Interment will be in St. Mary's Cemetery, Cold Spring, NJ. Suzie, all of your NERO friends are thinking of you at this sad time, and in the days ahead. Hugs and kisses. So very sorry to hear of Mrs Briggs passing. Also didn't realize George's sister Cheryl had passed away also. Wow double whammy. Take care George and Missy.